With Sonitrol’s impact-activated audio detection, there’s no guessing whether or not you have an emergency. We verify every alarm, so help responds to your emergency quicker. Say goodbye to false alarms. With audio sensors and video equipment that cover every inch of your facility, we can easily verify whether an alarm is a mistake or an intruder. So the police arrive to your facility quicker. Worried that employees and visitors will go where they shouldn't? With electronic access badges and door readers, you control where everyone goes. We'll install and monitor your whole system for you. 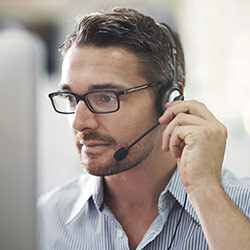 Updating your system is easy with our security management tool. No more second guessing what happens when you're away. We install and monitor the latest cameras and digital video recorders in your facility to give you proof of what's happening onsite—even if you're offsite. Fire strikes fast. So do we. Tired of fire alarms that just make noise? Our monitored fire detection systems go beyond simply alerting you if there's a fire. We call for help for you. So firefighters arrive quicker to protect your facility and the people in it. "They are everything you could ask for in a business." 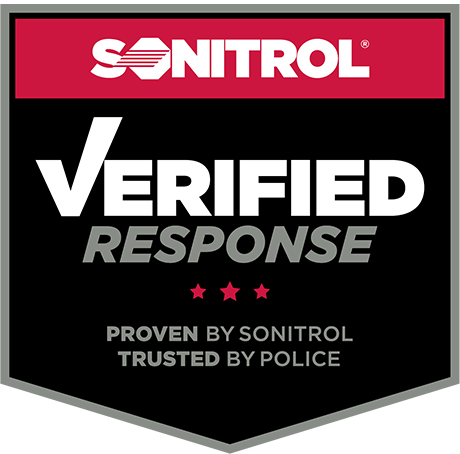 "Sonitrol has prevented countless break-ins and we have actually caught several assailants. The communication (with Sonitrol) has been outstanding. I cannot see why anyone would choose any other company to protect their property."